With millions of products and BILLIONS in yearly sales, Amazon is the leader in eCommerce. Finally there’s a chance for everyday people to tap into this profit monster by creating high converting stores in a few clicks that generate passive income every day of the year. Today Sean Donahoe is on the show to demonstrate his AzonAuthority software. In less than an hour it can build you authority Amazon stores that search engines love, allowing you to create multiple passive income streams. 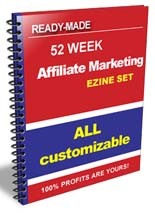 52 Week Affiliate Marketing AutoResponder ECourse! 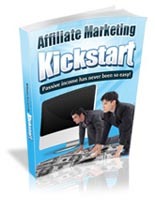 Make a Fortune in Affiliate Marketing! 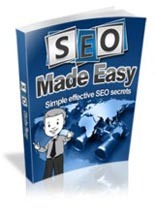 SEO is the Most Crucial Tool in Effective Internet Marketing! A Quick And Easy Way To Create Thank You Pages! 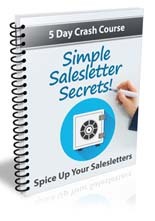 5 Day Crash Course To Simple Salesletter Secrets! I’m wondering if this is a sustainable product IE: Will there be updates made if Google starts cutting down on this concept again? Do you setup your own domain name and hosting ?